Gabriella was an outdoor pregnant stray that we rescued. Her babies have now all been adopted. 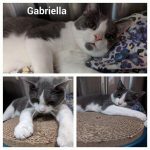 Gabby was Spayed and adopted as well! Boscoe, Billie,Blossom Sammy and Buffy were rescued from the outside. They were fighting an upper respiratory infection and an infestation of worms. All resolved we were then able to find them all homes! 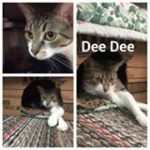 Dee Dee and Ripley were surrendered to Fixed Fur Life as their owner could no longer care for. 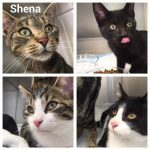 They were Spayed by Fixed Fur Life and were adopted together! 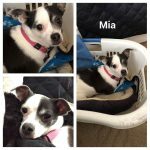 Mia is a 5 yr old female chihuahua. She was used for breeding and was having a hard time adjusting to life outside of a kennel. 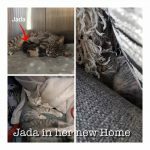 She was Spayed and we found a wonderful home for her! Peanut is a wee little girl whose owner could no longer care for. 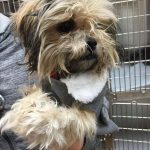 She was Spayed, vaccinated, groomed and treated for fleas. She was then adopted by a retiree who could devote her days to caring for her! 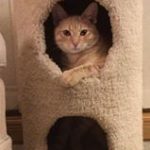 Ecstatic to report that Clancy, Mr Meowgi, Mr Meowzer, Bonnie, Buttercup, Peanut, Gideon, MiMi and Daisy have all been adopted!! 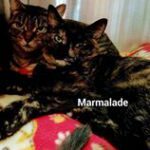 Marley was an outdoor pregnant stray and Marmalade one of her daughters. 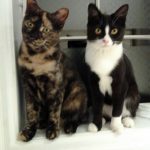 Both spayed and both now adopted! Our mom was a pregnant stray living outdoors. We went into foster care until we were old enough to be adopted. Finally we all have homes! Marbles and Mia's mom was an outdoor pregnant stray. They were spayed and adopted together. Shown here in their new home! Mom was also spayed and adopted! This beautiful affectionate boy was rescued from the outdoors. Neutered and now happily living an indoor life in his new home. 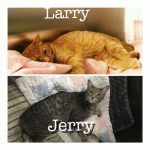 Larry and Jerry came to Fixed Fur Life as un neutered strays. Both are extremely sweet and wanted nothing more than a warm loving home. Once they were assessed, Neutered etc they were adopted and are now living a klife of indoor comfort. 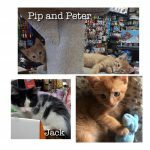 Pip, Peter, Jack and Pickles came to Fixed Fur Life came to Fixed Fur Life as little ones surviving outside. All have now been adopted! Sheena was living outdoors. Her 3 buys were also born outside. 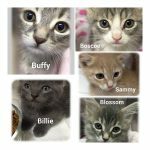 They have came to Fixed Fur Life and had to overcome some issues with severe infestations and upper respiratory infections. Extremely social. 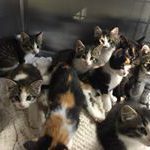 They were Spayed and neutered and have now all gone onto new homes. 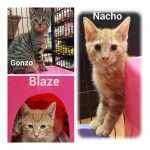 Nacho, Blaze and Gonzo were rescued from the outdoors as wee babies. 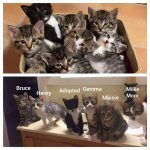 All neutered and all adopted! 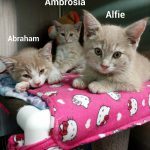 Abraham, Alfie Ambrosia were rescued from the outdoors. All have now been adopted! 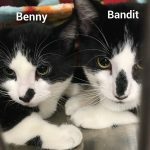 Benny and Bandit were rescued from the outdoors. Once treated and neutered they were adopted! 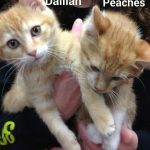 Dalilah and Peaches were born outside. 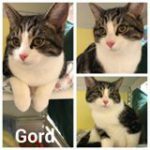 Brought to Fixed Fur Life where they were treated for worms, fleas and an upper respiratory illness. They have been adopted! 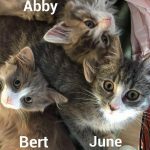 Abby, Bert and June were a group of little ones rescued from the outside. All suffering from parasites and upper respiratory infections. Once All resolved they were fixed and adopted!